Preserved flowers are real flowers harvested at the peak of their beauty and then preserved to maintain its fresh appearance using a non-toxic preservation formula. Preserved flowers maintains it's texture and fresh appearance; without browning, withering, for many months and even years. 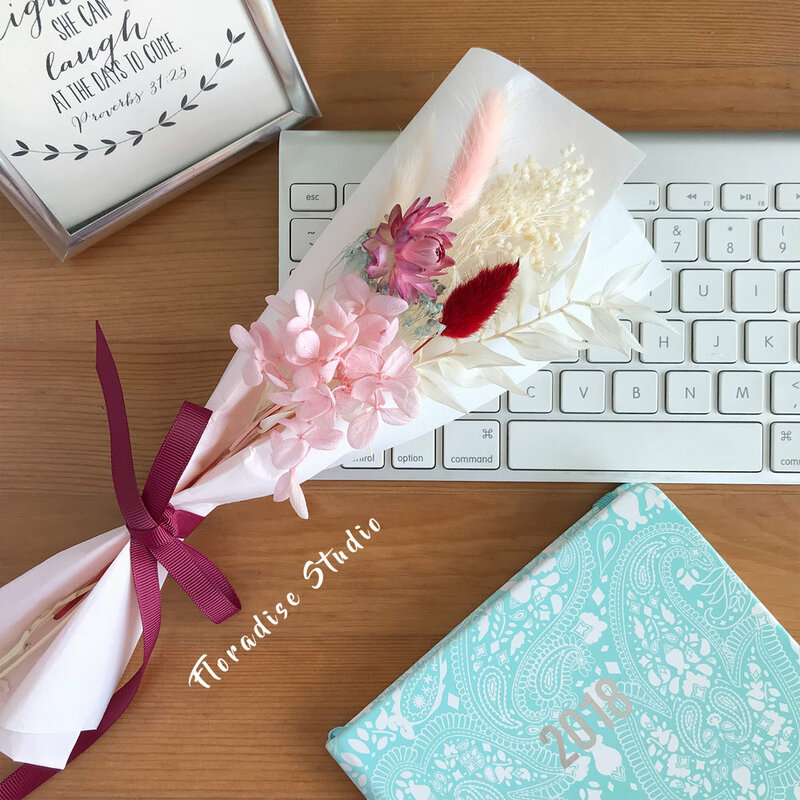 This make it possible for brides to keep their beautiful hand bouquet and wedding accessories as keepsakes to preserve the memories of the wedding day, for many months. They are not artificial flowers and does not have materials such as plastic or silk. In order to ensure that the flower maintain the appearance of a living plant, the preservation process stops all biological processes that promote the plant’s aging. As water is not required to maintain the flowers, chances of mosquitoes breeding is zero. The need to replace flowers decreased as preserved flowers last for a long time, therefore reducing annual budget for flowers. Due to long lifespan, less cost and resources are required to maintain the storage and transport as compared to fresh cut flowers. Keep them away from water. They do not need water. Sprinkling water or perfume can cause damage. Keep away from high moisture area or very dry place. Avoid contact with direct sunlight to prevent discolouration or fading. Blow with hair dryer from a moderate distance when it gets dusty.